I saw two movies recently that should be required viewing for a parents with teens, and for teens themselves—and no, one of them isn’t The Hunger Games. My mother, a public school teacher for 43 years, always said that some kids were just evil. That was her exact adjective: evil. She could predict which kids would either end up in prison or dead at an early age. Or both. Other kids are merely doomed, unwitting victims who fall through the holes in our social safety net, unless they get lucky and are rescued by someone who won’t give up on them. 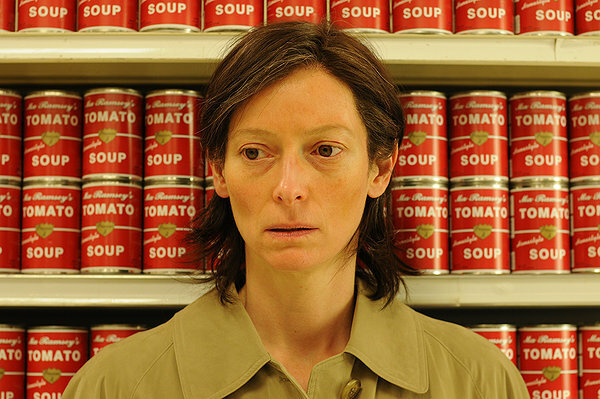 In Lynne Ramsay’s We Need to Talk About Kevin, Tilda Swinton plays a reluctant mother who gives birth to a child who unsettles and undermines her from infancy. As Kevin grows, his psychopathic and sociopathic tendencies become more obvious to her, but she, like everyone else around her, chooses to deny there’s a problem until it’s too late. The movie is artfully shot, each scene tightly composed and wound. The backgrounds in which the bewildered characters evolve (except for Kevin, who always knows what’s really going on) are sterile and unwelcoming. Swinton’s character is often the victim of violent, unpredictable revenge. We feel like we know these dreary suburban neighborhoods, strip-malls and supermarkets, yet they manage to feel utterly foreign. It’s grueling to watch this movie but also oddly compelling, like being unable to wake up and escape from a bad dream after you realize you’re dreaming. A week after recovering from Kevin I went to the movies again, where I saw, quite coincidentally, a film about another boy, this one growing up in a world fraught with obstacles. The Kid With a Bike, a Belgian film by the Dardenne brothers, stars Thomas Doret and chronicles the mishaps of Cyril Catoul, an 11-year old orphan who struggles to reconnect his father, and then make peace with his abandonment, with many harrowing brushes with criminality along the way. Fortunately for Cyril, he grabs, literally and figuratively, onto Samantha, played by Cécile de France, who becomes the caring adult and motherly figure in his life. You’re left wondering what Cyril’s fate will be up until the last agonizing minute of the movie, but you feel hopeful as the credits roll onscreen, unlike when We Need to Talk About Kevin ends. Both films are playing at the Kendall and other Landmark Theatres. I’m glad I saw Kevin first, then Kid. Both movies are unforgettable and worth seeing, and both are worth discussing with your teens. These films show a side of growing up that seems much more real than most media for and about modern children. Hope these films will be screened in Australia – sure sound like compelling movies. Hey Jennifer, I’ve seen “We Need To Talk About Kevin”…powerful stuff…while not “fun” definitely an eye opener…and I adore Tilda! I will definitely look up “The Kid with a Bike”. I’m almost embarrassed to have seen “The Hunger Games”. You know the way it is…you wanna connect with the peeps…top grossing movie on the planet for 3 weeks straight. WHAT?